North Granville’s water infrastructure is more than 75 years old. That’s what Granville Supervisor Matt Hicks said at a recent Town Board meeting as the town launched its third attempt at securing a state grant to help upgrade infrastructure in the dilapidated North Granville Water District. 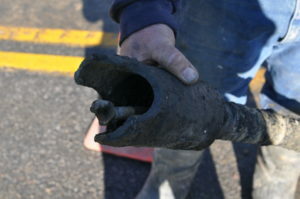 The district’s 75-year-old water system has forced the town to battle water line breaks and dirty tap water, among other issues, for several years. A Community Development Block Grant, which could bring up to $1 million, would pay for replacement of various pipes and equipment. Water repairs in the North Granville Water District could cost the town $3 million to $4 million. Last year, the town footed the bill for a new pump and the drilling of a new well to help replenish the North Granville water supply. The town hopes a grant from the state would offset some major costs, but it can’t apply for the funding without gaining the OK from its constituents. There will be a public hearing July 13 at 7:30 p.m. at the Granville town office for residents to express concerns and ask questions about the grant.